In order for any legal professional to provide comprehensive and effective services, he should have experience with the field in which you need assistance. For example, if you ask an attorney with no business background for help with a business issue, you may not get the best possible advice and representation. John Wm. Zaccone grew up in a family business, and knows what it means to be part of a management team. He has experience as an accountant, a tax attorney and a business owner, which means he understands the complexities of a successful business, its finances and its operations. When you engage his services to represent your company, you have someone who speaks the language of the law and a business professional. It is the kind of experience you need to best represent your business. If you are looking to start your own business, you need an attorney to work with you through every step of the process. Creating a business involves local and federal government filings, agreements for the business operations, contracts with employees, vendors and potentially business partners. John Wm. 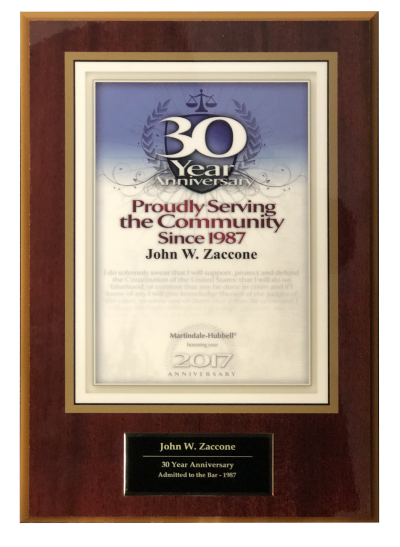 Zaccone has decades of experience as a personal business owner and a legal professional, and can help get your business operational. Are you and your partner, fellow shareholder or member no longer seeing eye-to-eye in your business? Then you need an attorney to identify, protect and preserve your rights and advocate your best interests. When you need someone to review agreements, assist in negotiations, determine if litigation is needed, or even dissolve a business relationship, then you need the experienced services of John Wm. Zaccone. John Wm. Zaccone will assist you in the sale or purchase of commercial and investment real estate, 1031 tax free exchanges and advise the best ways to structure the sale of your business or investment property. He has years of experience representing individuals and business as creditors and as litigants in both personal and business bankruptcies. John Wm. Zaccone focuses on getting the job done correctly, and for a fair price. He utilizes all available tools to be as efficient, clear-cut and effective for you. His only goal is to be the best attorney for your business needs, and to offer you the highest possible professional level of service. Contact John Wm. 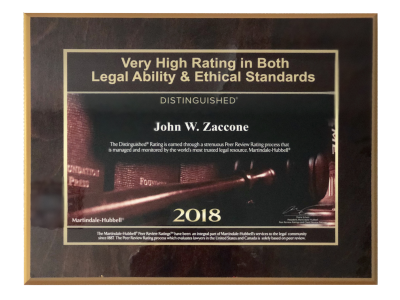 Zaccone today and let him show you what a true business attorney can do for you and your organization.